Just more than half of the 102 children under age 5 who were separated from their parents at the border under the Trump administration’s “zero-tolerance” policy against illegal immigration are expected to be reunited with their families by Tuesday’s court-ordered deadline, attorneys told a federal judge in San Diego on Monday. 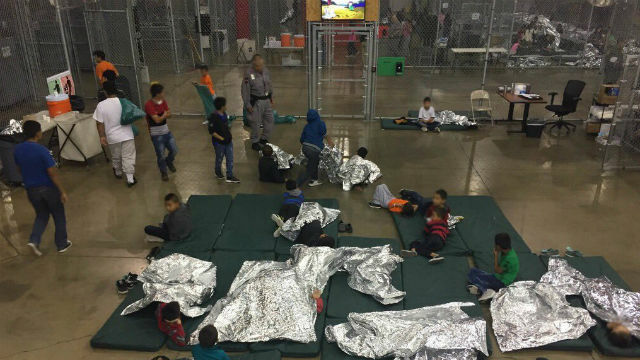 According to attorneys for the U.S. Justice Department and the ACLU, the rest of the children under 5 are expected to be reunited with their parents by July 26. U.S. District Judge Dana Sabraw last week gave the federal government until Tuesday to reunite the young children with their parents, but government attorneys late last week requested more time. In court Monday, Sabraw said that despite the deadline not being fully met, he was generally pleased with the efforts being made by the federal government. He asked attorneys for the government and the ACLU to file court papers by Monday night outlining their proposed reunification plans, with the ACLU calling for a more expedited process. “This is real progress,” the judge told attorneys on both sides of the case. Another hearing on the issue is scheduled for 11 a.m. Tuesday. The government had asked for more time to complete the reunification because it claimed it needed more time to ensure the children’s safety and to confirm their parental relationships. The judge acknowledged that more time may be justified only in specific cases, but initially left the Tuesday deadline intact for children under age 5, along with a July 26 deadline to reunite all children age 5 and above with their parents. The administration was ordered to share a list of the 102 children under age 5 with the ACLU by Saturday afternoon. ACLU Deputy Director of the Immigrants’ Rights Project Lee Gelernt said 54 children under 5 who were separated from their parents at the border are expected to be reunified Tuesday. Another five children may have to wait for reunification because of immigration issues with their parents, he said. There is one child who can’t be reunited because the government doesn’t know who his parents are, Gelernt said. More than 2,000 children were separated from their parents after Attorney General Jeff Sessions announced in May that the zero tolerance policy was in full effect. While parents were criminally prosecuted, children were placed in custody of the Health and Human Services Department. President Donald Trump reversed course on June 20 amid a domestic and international outcry and issued an executive order to require that families be kept together during criminal and immigration proceedings. On June 26, Sabraw, who was appointed by President George W. Bush, set the deadlines of Tuesday to reunite children under 5 with their families and July 26 for the rest of the children. “These kids have already suffered so much because of this policy, and every extra day apart just adds to that pain,” Gelernt said.